Summon: Shackle a random enemy creature. Cavern Spinner is a common Agility creature card. 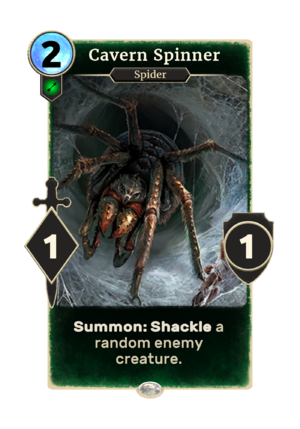 It is not obtainable as part of your collection, but it can appear in NPC matches and be summoned by Spider Lair.